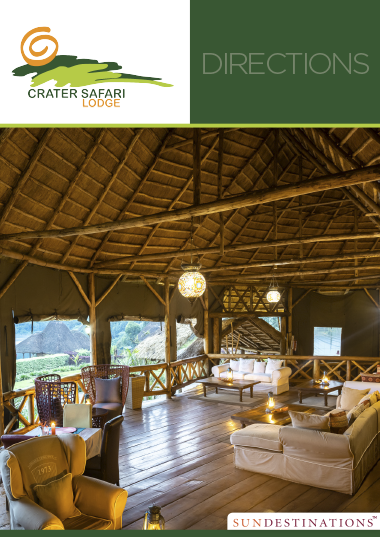 Giant kingfishers are in abundance at the lodge, and there's a resident hippo in the crater lake. Neighbouring Kibale National Park is home to a high concentration of primates. 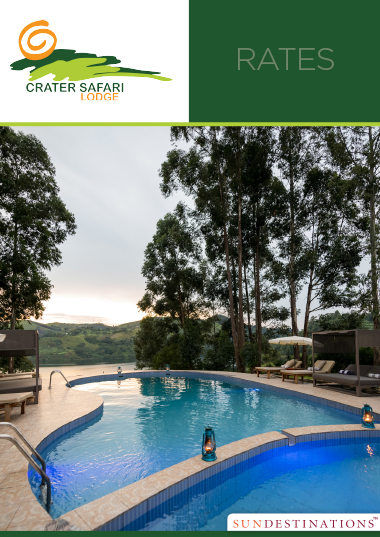 The place to see predators is the neighbouring Kibale National Park, which is made-up of diverse landscapes dominated by lush evergreen forest. The forest is thriving with life, and among the primates and herbivores, there dwell a few elusive carnivores. The bushpig is commonly spotted and is omnivorous; mainly feeding on carrion. Other predators include the leopard, African golden cats, small predators such as mongooses and otter; and servals. The park in its entirety is 766 km2 in size. Kibale National Park is home to the highest concentration of primates in Africa, with a total of 13 species of primates to spot. The most popular species is the chimpanzee, but the Ugandan red colobus is also a highlight. In terms of plains game there are duikers, bushbucks, sitatungas, forest hogs, warthogs, and even the African buffalo. If you're lucky you might catch a glimpse of the rare African forest elephant. At the actual lodge look out for the resident hippo in the crater lake in front of the lodge. 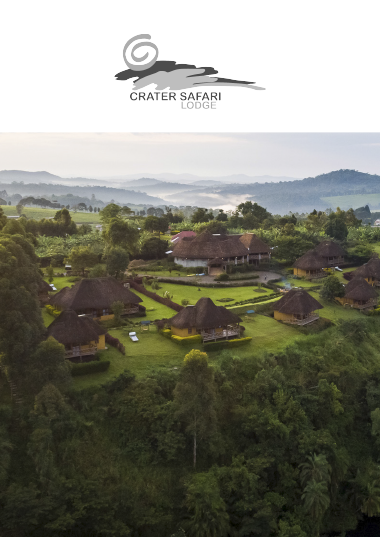 Giant kingfishers are in abundance on the grounds of the lodge - don't be surprised to wake up to their rather loud vocalisations. This is a bird conservation area, and the surrounds provide a natural habitat for hornbills, ibis, herons, sunbirds, pelicans, kingfishers, weavers, turacos, waders and birds of prey. The neighbouring Kibale National Park is home to over 370 species of bird and many of these are specific to the forest. The African pitta is one of the Afrotropical lifers to spot while in the forest. Enjoy a guided walk through the sanctuary, home to 200 species of bird and a number of primates. The red-colobus monkey is the most popular primate to spot. 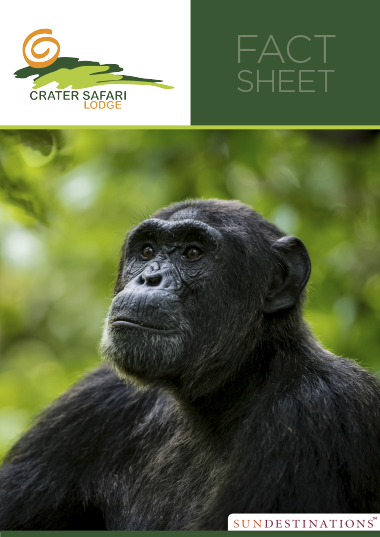 Our guests have the option of tracking chimpanzee in Kibale National Park, which is located a mere 7 km from our lodge. A group of guests walked for a couple of hours through long grass and moist terrain in the Kibale forest, and spent time with gangs of chimpanzee.